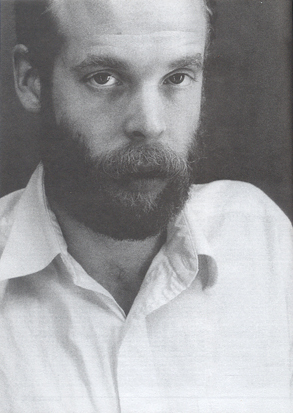 ¶ C'est l'un des rares albums solo sous son véritable nom que propose la, Will Oldham. Il préfere de loin utiliser de nombreux pseudos (Palace, Palace Music,...) et c'est finalement Bonnie 'Prince' Billy qu'il semble avoir définitivement choisi, celui qui lui apporta le succes mérité. Je profite de l'occasion pour vous informer que j'ai "updaté" pas mal de posts anciens et que la discographie de BPB est en passe d'etre a nouveau disponible en qualité 320 (presque tous) ici . L'opération est en cours, j'ai commencé par les posts les plus anciens... Elle ne sera sans doute pas complete, tant l'homme est prolifique et amateur de collaborations multiples. ¶ Retiring the Palace moniker for no reason other than a whim, Will Oldham doesn't necessarily explore new territory on his first official solo album, Joya. He sticks to the simple, slow, acoustic country-folk songs that dominated the latter-day Palace albums, and like before, the songs teeter between apparent sincerity and inscrutable irony. The hushed dynamics of the music and his whispered vocals suggest that Oldham means what he's saying, but his appropriation of American folk imagery and impenetrable wordplay suggest otherwise. As always, there are a few songs that have a quiet power (including "Antagonism" and a collaboration with the Silver Jews' Dave Berman), but the overall effect of Joya is a familiar one -- it's a promising, ultimately unfulfilling record that doesn't quite prove whether Oldham is a songwriter of pretense or genuine talent.